A show about the life of legendary French rocker Johnny Hallyday is to go ahead despite the opposition of his family, the producers have said. The death of the French Elvis in December 2017 prompted the biggest outpouring of grief seen in the French capital since the funeral of Edith Piaf half a century before. 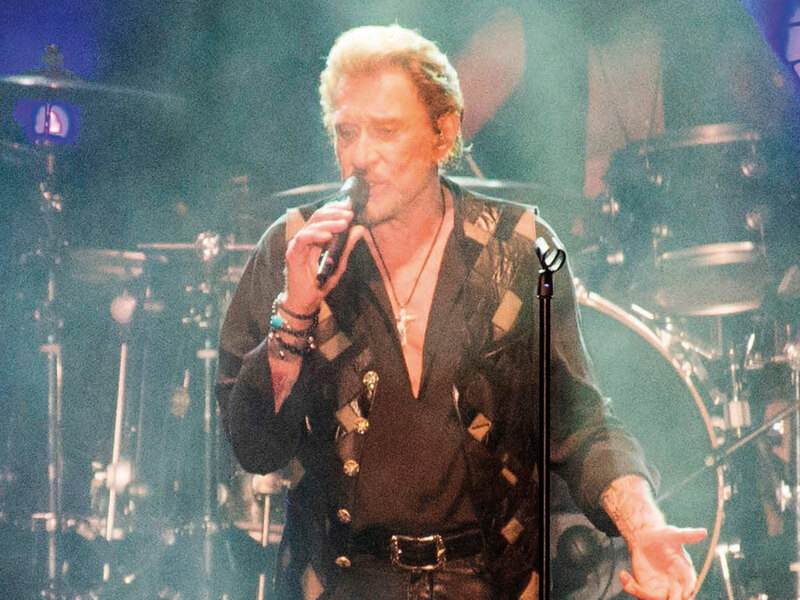 But plans for a new musical tribute to Hallyday, who died of cancer aged 74, has divided his fans and sparked a furious response from his manager and his widow. “Johnny Hallyday is a commercial brand and you cannot use it like that,” Hallyday’s manager Sebastien Farran told the Parisien daily. “We do not endorse this show and we still do not know its content. They have never contacted us,” he added. The newspaper reported that Hallyday’s widow Laeticia was annoyed and has called in her lawyers to stop the show because it had not got her permission. The producers, however, said they were going ahead with the “celebration of the career of an artist unlike any other”, which is due to open in Paris for the second anniversary of his death in December. “The show is not an abuse of the image rights of Johnny Hallyday since it will be played live and will not be recorded,” producer David Michel of the Fenix Corp said in a statement through his lawyers. He argued that there were already more than 40 shows about the rocker, called the Idol of the Youth, doing the rounds “between professional lookalikes and homages by his fans”.